The Dermatouch Skin Perfecting System is a professional home use facial brush that helps your skin breath, revealing greater, younger looking skin. 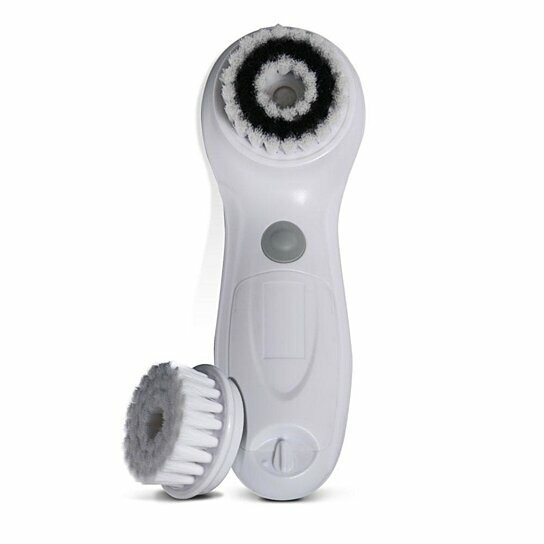 This unique motorized facial brush set is designed to help you achieve beautiful skin without the cost or hassle of costly treatments. The Dermatouch Skin Perfecting System base fits two different brush heads, each designed for your unique skin type. Choose the white brush head for combination/normal skin or the black white brush head for acne prone skin. White brush head for combination skin.